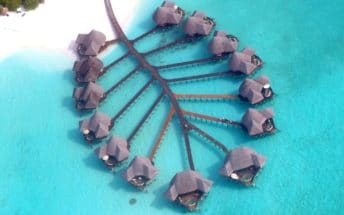 Soneva Fushi Resort by Six Senses – the first “Robinson Crusoe”-style hideaway in the Maldives, is set on the privately owned tropical island of Kunfunadhoo in the Baa Atoll, north of Male Atoll. 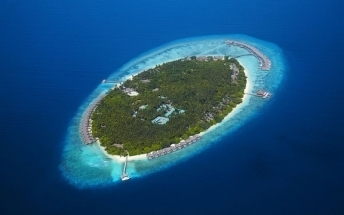 It’s 64 nautical miles and a scenic 25-minute sea plane flight from the capital, Malé. 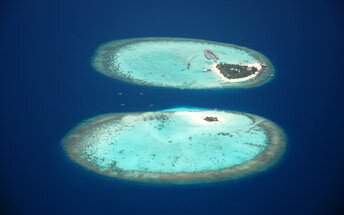 The Maldives are made up of 1,190 islands that stretch over eight hundred kilometers, north-south. Kunfunadhoo is 1,400 metres long and almost 400 metres wide and is one of the largest islands in the Maldives. 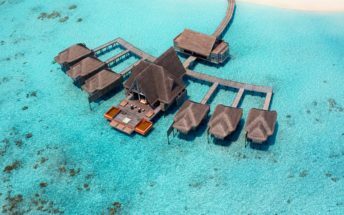 Apart from the crystal clear water, for which the Maldives is world renowned, the island’s unusually rich vegetation creates a unique natural environment. The sheer size of the island allows enjoyable exploration by bicycle or on foot.